You are here: Home / Career Guidance Tips / Career Guidance for Students / How to study in an efficient way? This article is going to show you “How to study in an efficient way?”. The most efficient ways are given for all kind of college students and school students. Many students study harder not smarter. This article provides you information on studying in a smarter and a best way. Thirst for knowledge is the key which motivates investigation and study. Don’t study only for the sake of scoring marks. Of course marks are really very important but still have a strong passion for knowledge. Prepare a schedule for yourself. Have variety in your planner. Stick to your schedule. Remember that your success is in your hand. If you cannot stick to your planner because of some reasons manage your time to study the things which you have left out. Some students who are good in their studies may slide down in their performance because of some social or personal issues. Don’t hold on it. Move on… If you find it very difficult find someone with whom you can share your problems. This will make a world of difference. Fight back against your depression. Regain your control. Don’t study for hours without taking breaks. After an hour of study have a mini-break. Have a drink maybe a snack or engage yourself by watching T.V or hearing music or do something which will make you feel relaxed. Then, get back to work. This will make you feel more alert. Have a habit of taking notes regularly. Maintain a record of your assignments properly. Many people cannot take notes very fast. So in that case form groups with your class mates and have turns in taking notes. While preparing for your exams take notes on key terms, definitions so that you can go through it before entering your exam hall. Review your notes every day. Avoid last minute study. Our brain cannot take up things which have studied in the last minute. After studying spend few minute in reviewing the material what you have studied. This will help you to understand the concept better and also reduces time in re-learning the content again. Once you are done with your preparation collect previous year question papers and conduct a mock test for yourself. Evaluate your own paper. 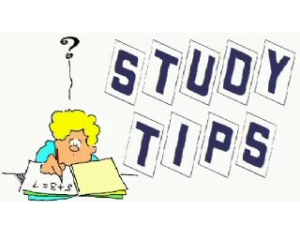 This will help you to manage your time and also help to know your strong and weak areas in that particular subject. Don’t panic if the paper is tough. If the paper is tough spend around some 10 minutes reading the paper. Try to relate the stuff which you have learned. Correlate it and then start writing. This will help you to improve your score. Asking doubts will definitely help you to improve you understanding. Never feel bad in rectifying your doubts with your friends or lecturers. You should be self-motivated and do some research work regarding the particular topic which will fetch you lot of knowledge.